Trying to make ends meet and make his mortgage payments, Jack is still working. Having completed his Home Equity Conversion Mortgage (HECM) application, he is anxious to get to the date of his closing so his mortgage will be paid off with the reverse mortgage and his cash flow improved. 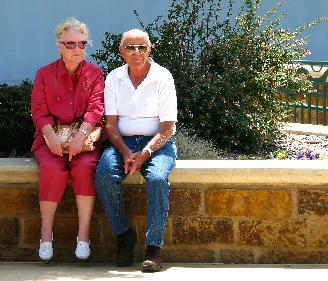 A mortgage with special terms for seniors, a reverse mortgage allows those 62 and over to keep the title, remain in their home with no income or credit score qualifications, no monthly mortgage payments, and a due date when the home is no longer their primary residence or their 150th birthday. (A jumbo reverse mortgage does have a credit score qualification, however.) Considered a lien against the property the IRS generally does not consider the reverse mortgage loan advances to be taxable income. Offering more flexibility, the reverse mortgage proceeds can be received in monthly payments (for life or structured to borrowers needs), line of credit (with a growth rate), lump sum or a combination of these. The loan amount is determined by the home value, age of the borrower (the older one is the more they can access), interest rate and program chosen. The fixed rate option requires all proceeds to be drawn as a lump sum, the adjustable rate allows the flexibility of the funds to be received in monthly payments or a line of credit. One’s circumstances will help decide which program is best for their situation. At 79, Mike was still working to supplement his Social Security income. Then he injured his knee and couldn’t work any more. Without his work income he couldn’t afford to cover his living expense, which included a $700 mortgage payment, let alone his additional medical expenses. Mike did a reverse mortgage and with his proceeds, his conventional loan was paid off as well as some other bills. He now has a better cash flow because he doesn’t have to make any mortgage payments. And having chosen the monthly payment option, and he is receiving monthly payments to replace his working salary. He’s very relieved that he doesn’t have to worry about where the money is going to come from to make his mortgage payment or maintain his lifestyle. Even with his knee healed he doesn’t have the need to work and he doesn’t have to worry about losing his home if he couldn’t make a mortgage payment. He now has security, independence, dignity, and control during his retirement. If you know someone 62 and older thinking they can’t afford to retire, have them explore a reverse mortgage. Being educated with the facts the reverse mortgage may well be their answer to retiring. Respect For Oneself Increases With A Reverse Mortgage. This entry was posted in Care Management, Foreclosure, HECM, Home Health Care, HUD, MN Reverse Mortgages, Retirement, Reverse Mortgage, Senior Financing and tagged Boomers, FHA, Finances, Financial Planning, Foreclosure, HECM, Home Equity Conversion Mortgage, HUD, Minnesota Reverse Mortgage, Retirement, Reverse Mortgage, Reverse Mortgage Benefits, Reverse Mortgage Details, Reverse Mortgage Facts, Senior Advocacy, Senior Finances, Senior Housing, Senior Independence, Senior Options, Senior Real Estate, Senior Stories, Seniors by Beth Paterson, CRMP. Bookmark the permalink. Beth my father has a reverse mortgage. My question is this is it lawful for the person who has a reverse mortgage to purchase life insurance to pay off the mortgage in case something happens to them? That way they can keep the home in the family. I sell insurance and would like to approach other owners that have a reverse mortgage with the subject but I am not sure if there is a law against. If you could provide me with some information on the subject I would really appreciate it. As far as I know there isn’t a law prohibiting a person who has a reverse mortgage to purchase life insurance. However you should check the state(s) you are doing business because some states may have laws along these lines. HUD and some states have implemented regulations prohibiting cross-selling reverse mortgages and insurance products. While there may not be laws against selling insurance to those with a reverse mortgage one should review their situation and whether a insurance product will benefit them. For example, if one has a reverse mortgage with a line of credit and/or are receiving monthly payments, insurance products may just be an added expense and unnecessary. Because the reverse mortgage is a non-recourse loan, the loan is repaid only from the sale of the property if the borrower or their heirs are not retaining ownership, a life insurance product would not be necessary to just pay off the mortgage. Where I see the advantage of a life insurance policy in addition to a reverse mortgage is when there is a spouse that is younger than 62 or not on title as a mortgage borrower. In this situation a life insurance policy could benefit them to be able to pay off the loan balance if the RM borrower passes away and the spouse wants to remain in the home. Note that the loan is due and payable when the borrower(s) are no longer living in the home as their primary residence. In the case of a non-borrowing spouse they would have to repay the mortgage, or sell and move when the borrowing spouse passes away or moves out of the home as their primary residence. A life insurance policy on the borrower would help pay off the mortgage so the non-borrowing spouse could stay in the home. If one wants to keep the home in family having an insurance policy may be beneficial because HUD’s definition of non-recourse is there is no personal liability to the borrowers or their heirs unless they are retaining ownership. The insurance policy could make up the difference of the sale of the home and loan balance if the loan balance is higher than what the home can be sold for. However, I have found very few situations where the family is keeping the home after the senior has moved or passed away. Especially if the loan balance is higher than what the home can be sold for (common with the decline in home values.) Consequently the cost of the insurance may not be wise. Because the reverse mortgage generally is used to help with cash flow purchasing a life insurance policy may defeat the purpose. Maybe the family member who wants to keep the home in the family should pay for the insurance policy on their parent. I would proceed with caution in marketing insurance to reverse mortgage borrowers because there are few instances where purchasing life insurance will be beneficial over and above a reverse mortgage. Note I am not a licensed insurance agent and do not sell or give advice regarding insurance products.